The Vascular and Endovascular Surgery Society (formerly the Peripheral Vascular Surgery Society) was founded in 1976 as a national forum for young fellowship-trained peripheral vascular surgeons. From a modest beginning as the Peripheral Vascular Surgery Club, it has grown from an original 19 to over 1000 Active, Senior & Candidate members. It remains, however, the only national vascular organization that requires specific fellowship training in general vascular surgery as a prerequisite for membership. To ensure the Society’s commitment to the young vascular surgeon, active members must become senior members after 15 years. Both active and senior members are urged to attend and participate in the Annual Winter Meeting as well as the Spring Meeting held the day preceding the Vascular Annual Meeting (VAM). Surgical specialties and the organizations that represent them arise to fill a need. In the early 1970’s, a need arose for surgeons specifically trained in the diagnosis, non-operative and operative management of peripheral vascular disorders. As these trainees emerged from fellowship programs throughout the country, the additional need arose to provide a national forum through which these young fellowship-trained peripheral vascular surgeons could informally meet, exchange ideas, and mutually promote the new specialty of peripheral vascular surgery. While Visiting Professor of Surgery at New York University in the winter of 1975, Dr. Ben Eiseman recognized that a second generation of young vascular surgeons was being trained and that they would soon be responsible for the majority of peripheral vascular surgical care throughout the United States. He suggested the founding of an organization of young fellowship-graduates in peripheral vascular surgery and proposed that the organizational structure be similar to that of the Surgical Biology Club. With this concept in mind, one of us (RGS) sent a letter in February of 1975 to the directors of all programs providing fellowships in peripheral vascular surgery, as published in the December issue of Surgery. This letter explained the objectives of the proposed organization and asked the program directors for their comments. The response was positive, and in May of 1976, a second letter was sent directly to current and recent fellows, inviting them to be founding members of a club consisting solely of those who had spent a year in special training in peripheral vascular surgery. The first meeting of the proposed organization was held in conjunction with the annual meeting of the American College of Surgeons on October 10, 1976 at the Chicago Blackstone Hotel. Nineteen founding members were present and they named the new organization, the Peripheral Vascular Surgery Club. They determined it would be a national organization involved in all aspects of peripheral vascular surgery. Its purpose would be to bring together young, trained peripheral vascular surgeons coming out of approved fellowship programs in order to meet and exchange ideas and experiences. It would be a forum where peers could criticize in a positive way their clinical and laboratory research. There would be no written manuscripts and no pirating of ideas; just discussion among friends. Subjects related to vascular research, clinical vascular surgery and teaching methods would be considered for presentation at subsequent meetings. Dr. John Bergan attended that first meeting and detailed the guidelines that the major vascular societies had used in developing criteria for approving fellowship training programs. The club agreed that a prerequisite for membership must include 12 consecutive months of specific training in peripheral vascular surgery. It remains as the only national organization that does so. Fueled by word of mouth at the SVS/ISCVS meetings in June of 1977, news of this fledgling organization spread quickly. Forty-eight membership applications were received by the second meeting, and the first scientific session held in Dallas on October 16, 1977. Although the papers were excellent and the discussion lively and stimulating, a reading of the program announcement suggested a shaky beginning to this new organization. The title “First Annual Meeting of the Peripheral Vascular Society Club” exposed the ambiguous self-identity as it groped for its realistic image as a society or a club. By the Summer of 1978, the rapid growth and informality of the Peripheral Vascular Surgery Club presented some unexpected problems. The process for handling membership applications was loose and some applications were not acted upon. Lack of a Constitution and Bylaws impeded orderly growth. An Executive Council was formed and Dr. Larry Hollier volunteered to develop a Constitution and Bylaws. At the first Executive Council dinner, held the evening before the Annual Meeting in October of 1978, the group approved the draft Constitution and Bylaws. They also previewed the official necktie of the club. Of course, in order to have the necktie custom-made, a quantity, many times the number of members, had to be ordered. In an early effort at cost efficiency, Dr. William Gross suggested that members buy enough ties to have shorts made. Unique to the third meeting of the club, held the following day at the Fairmont Hotel in San Francisco, was a report by Dr. Charles Andersen concerning the club’s representation on the Joint Committee of Regional Vascular Societies. Although not a regional vascular society, the Peripheral Vascular Surgery Club valued its inclusion on the Joint Committee and was grateful for the opportunity to state its goals and purposes. The annual meeting returned to Chicago in October of 1979 for what turned out to be the last meeting in conjunction with the American College of Surgeons. In order to be more aligned with vascular surgery, future meeting dates were changed to the day preceding the Joint Meeting of the Society for Vascular Surgery and the International Society for Cardiovascular Surgery. Struggling with the problem of new applicants and membership size, the club decided, after much discussion, to accept only 10 members each year. This was an important policy change as, prior to this decision, membership was unlimited. By the fifth meeting, an interest in political topics was beginning to emerge. Although Dr. Robert Kistner’s talk on “Venous Reconstructive Surgery: The New Horizon” was well received, the new horizon for the club was controversy. Should members be required to perform a specific number of vascular cases per year to maintain membership? Should the club form a vascular registry? Should inclusion in the registry be a prerequisite for membership? Should the club provide a placement service for vascular surgeons looking for jobs? No clear-cut consensus developed and these topics were ultimately tabled, but, for the first time, the membership began to speak out on topics related to the development of peripheral vascular surgery as a sub-specialty. At the sixth annual meeting in Dallas in 1981, the controversy regarding limited membership re-emerged. Should the club remain small in order to maintain its informality and open forum for spontaneous discussion? If membership was to remain small, what should be the criteria for selecting new members and should there be a limitation on the number of years that a member could actively participate in the club? Was it to be like the Society for Academic Surgery – strictly a young surgeon’s club? By the 1982 meeting in Boston, these questions still were unanswered. President Ed Bone realized that the viability of the organization was at stake and that these critical questions must be answered. He formed an Ad Hoc Committee on Membership which was challenged to provide guidance on how to resolve these problems related to the growth of the organization. At the 1983 meeting in San Francisco, the Ad Hoc Committee on Membership delivered its report. The recommendations were vigorously debated, but the following guidelines were finally agreed upon. – There is no membership limit. – Active members become senior members after 10 years of membership. – Senior members have full voting privileges, but may not hold office or be on any committee except the Executive Committee. Having reaffirmed its identity as an organization for the young, trained vascular surgeon, the Peripheral Vascular Surgery Club’s ninth meeting in June of 1984 in Atlanta, Georgia was stimulating and productive. The newly-elected president of the Society for Vascular Surgery, Dr. Anthony Imparato, spoke to the members on “Why We Look, but Do Not See.” The category of honorary membership was established and Drs. John Bergan, Ben Eiseman and E.J. Wylie (posthumously) were selected as the first honorary members. The evening dinner was highlighted by President Bloemendal’s hilarious presentation entitled “Bloemendal’s Familiar Quotations.” Despite the success of this ninth meeting, the membership predictably expressed its displeasure over the issues of training program approval and individual certification. Why should training programs be disapproved because they did not provide a stated number of vascular cases to general surgery residents? Why was there such a rigid post-training caseload requirement for peripheral vascular surgery certification? Although the club membership issued no policy statement, they reaffirmed the visionary concepts of Dr. E.J. Wylie. In addition to presentations by members and invited guests, the tenth meeting in Baltimore had several unusual aspects. An event started in Boston in 1982 re- emerged – a fun-run of two to three miles. The unmarked trail through the Maryland woods in a warm rain succeeded in providing several course variations, but everyone showed up by coctail time. At the dinner meeting, the first honorary members were inducted and Mrs. Glia Wylie graciously accepted the honorary membership for her late husband. The political turbulence concerning vascular Board requirement was calmed considerably by an encouraging report from the Joint Council of SVS/ISCVS. A summary of their achievements regarding individual vascular certification and accreditation of vascular surgical programs was presented to the club membership at the business meeting and sparked optimism among the group. With spirits buoyed, the membership took a bold step and voted to change the name of the organization to Peripheral Vascular Surgery Society. By making this change, they hoped not to alter the informality and spontaneity of the organization, but to improve its ability to flourish along with other national and regional vascular societies. 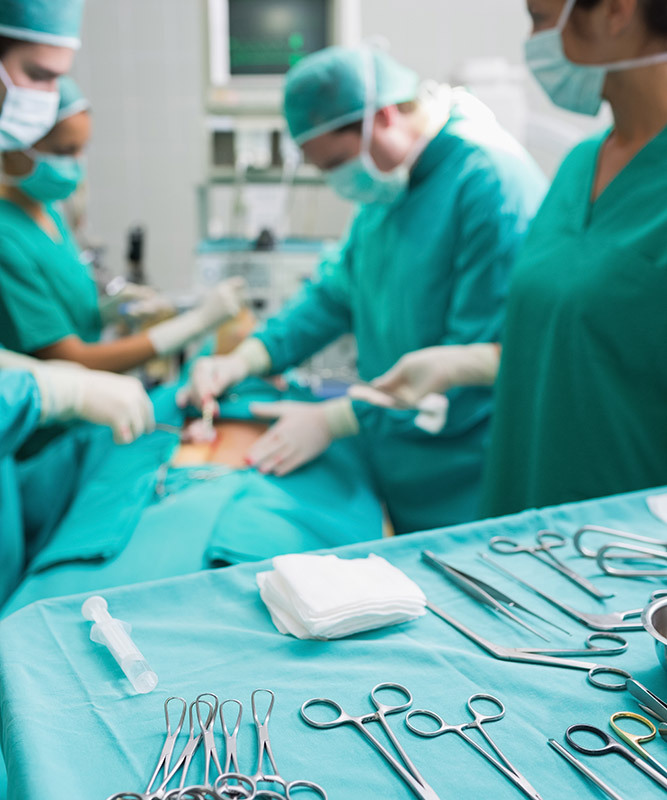 As a national organization of young, fellowship-trained peripheral vascular surgeons, the Peripheral Vascular Surgery Society is complementary, not competitive. With the word “society” firmly established in the organization’s name, and with overwhelming approval of the policy of no membership limit, the eleventh meeting in New Orleans in 1986 was expansive. Members were encouraged to sponsor young fellowship graduates for membership. Senior members were urged to continue to attend and participate in the annual program. And the membership approved the establishment of a Foreign Fellowship Category. Qualified young foreign vascular surgeons will be invited to become members under this special category. It is hoped that their participation will add stimulating fellowship as well as enhance the quality of the annual program.